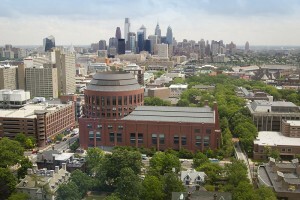 There are great benefits to attending a school such as Wharton. There’s a piece up on “Business Insider” by Portia Crowe entitled “19-year-old who turned down Goldman Sachs says other students are just ‘lazy’” that we figured we’d share with our readers because it — perhaps unknowingly — offers some insight into the benefits of attending an Ivy League university. The piece focuses on a Wharton undergraduate student who hustled to land an internship at Goldman Sachs during his freshman year at Wharton and then secured a similar position at a Wall Street hedge fund. In the piece, the Wharton undergrad argues that so many students at Wharton and other highly selective colleges rely on their university’s prestige to land internships and such. And he argues that doing so is, essentially, the mark of a lazy job applicant. But what this student may not realize because he has the luxury of attending Wharton is that lazy students at Arizona State University and Kansas can’t be lazy and still secure internships on Wall Street. A consulting firm like McKinsey, for instance, hires almost exclusively out of the Ivy League and other extremely selective colleges such as MIT, Caltech, Duke, Stanford, etc. That student at Kansas — even if he or she is a hustling student with great drive — is unlikely to land a summer internship at McKinsey. It’s just not going to happen. So while we respect the hustle of this Wharton undergraduate student and we do appreciate what he has to say, it seems he’s unaware of some of the great benefits that come with attending a school such as the University of Pennsylvania. According to the piece in “Business Insider,” “The intern says he reached out to some 200 Penn graduates from the school’s alumni database before getting a Goldman offer and landing the hedge fund gig.” Therein lies another great benefit of attending Penn. Access to tons of highly successful people, many of whom have found great success at firms such as Goldman Sachs. That alumni database isn’t nearly as useful at a school such as Adelphi University. Some of the best Wall Street firms do not have job fairs at Adelphi (sorry Adelphi!). So, to the Wharton undergrad, we respect your hustle and you’re right that many students are indeed lazy (at Ivy League colleges as well as at every college across the land), but don’t underestimate the power that attending Wharton brings to your candidacy for these Wall Street internships. Because that’s what you’re doing. You’re underestimating your school’s value-add. And that’s a business faux pas. Learn more about that on Wall Street this summer. We leave you with a quote from “Bloomberg Business“: “The conveyor belt from the Ivy Leagues to Wall Street is frictionless, and the siren song of Wall Street is strong.” We couldn’t agree more.